This statistic shows the unemployment rate among U.S. veterans in 2018, distinguished by period of service. 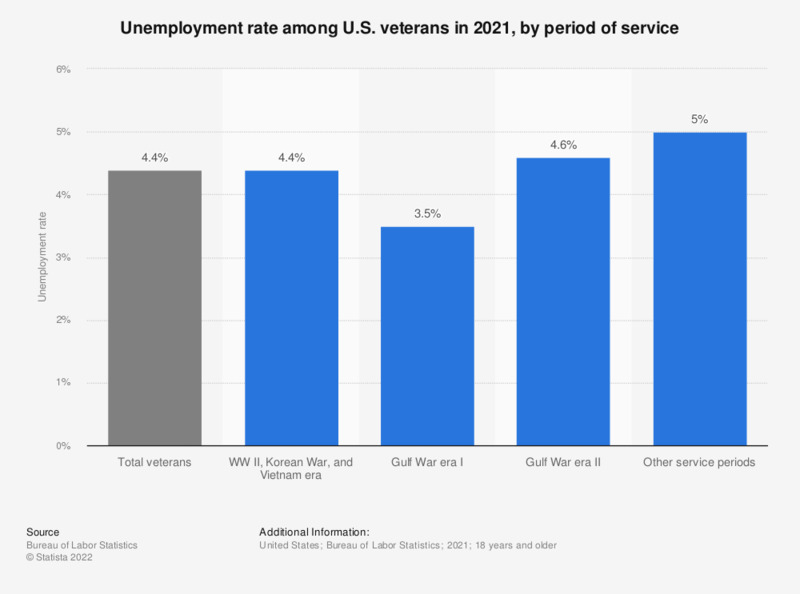 In 2018, about 3.8 percent of the U.S. veterans who served in the Gulf War II were unemployed. Periods of service shown here are mutually exclusive (i.e., Gulf War I Veterans served only in Gulf War I).